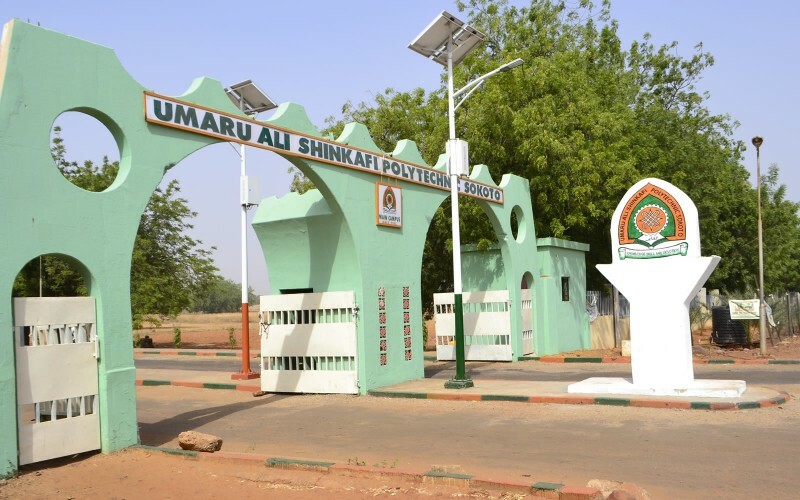 The list of courses offered by Umaru Ali Shinkafi Polytechnic Sokoto are displayed on this page. Candidates who wish to apply through JAMB should click on any of the courses to see the course requirements. The Umaru Ali Shinkafi Polytechnic sokoto state was established by the sokoto state Government vides law No.2 of 2002. It could be recalled that the former sokoto state established polytechnics at Birnin-kebbi and Talata Mafara wich were lost to present Kebbi and Zamfara States in 1991 and 1996 respectively. Consequently, the present government with its determination to uplift the standard of education in the state merged the former Haliru Binji College of Arts and science and sani Abacha College of Administration and upgraded them to the status of polytechnic of sokoto state with Dr Abubakar Dikko as pioneer Rector of the institution and late Alh.Abubakar Zaki Tambuwal as the first chairman Governing Council of the institution.